This sensor is a motion switch, turn on the light on detection of people movement, and turn off after a pre-selected hold time when there is no people around. A daylight sensor is also built-in to switch off the light when there is sufficient natural light. The HC005S is the advanced series of microwave movement sensors with adjustable settings. 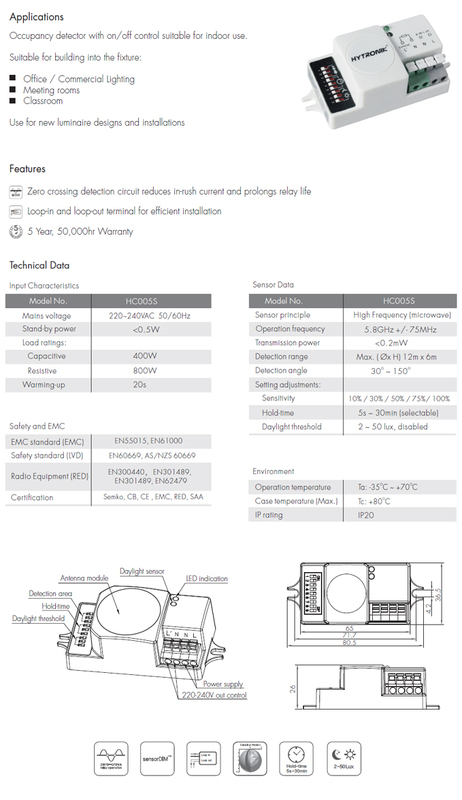 To achieve the correct detection range and hold-on time the following parameters can be adjusted.